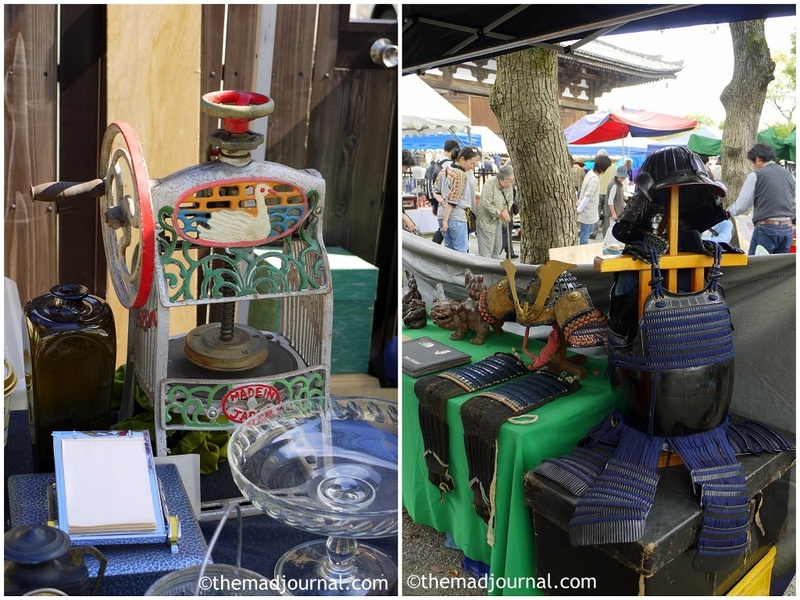 There is an antique market every month in Toji, near Kyoto station. 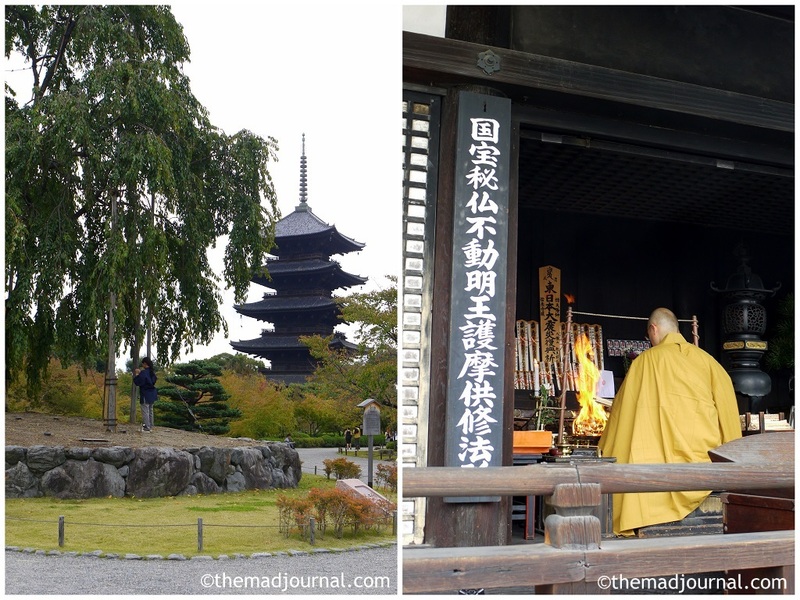 Toji is a temple built in the 8th century. It's registered as a world heritage. Originally, it was a just every-month ceremony. One day, a tea shop opened for people who came to the ceremony. And then, it became a big market. so this kind of market is really fun for me as I can see lots of Japanese old things. You can also get Japanese vintage kimono. Usually, new kimono is quite expensive, but if it's second hand, surprisingly reasonable. It's so humid in Japan that old clothes are usually damaged and get eaten by moths. But I was surprised that most of kimonos in the market was so beautiful and hardly damaged. There is also vintage clothes as well. I love Japanese vintage dresses! Not only vintages and antiques, there are stalls by artists. Of course, there are food stalls too, you can stay there all day! Of course, if you are interested in Japanese traditional culture and temples, don't forget to see this world heritage. It's a famous spot for cherry blossoms too. 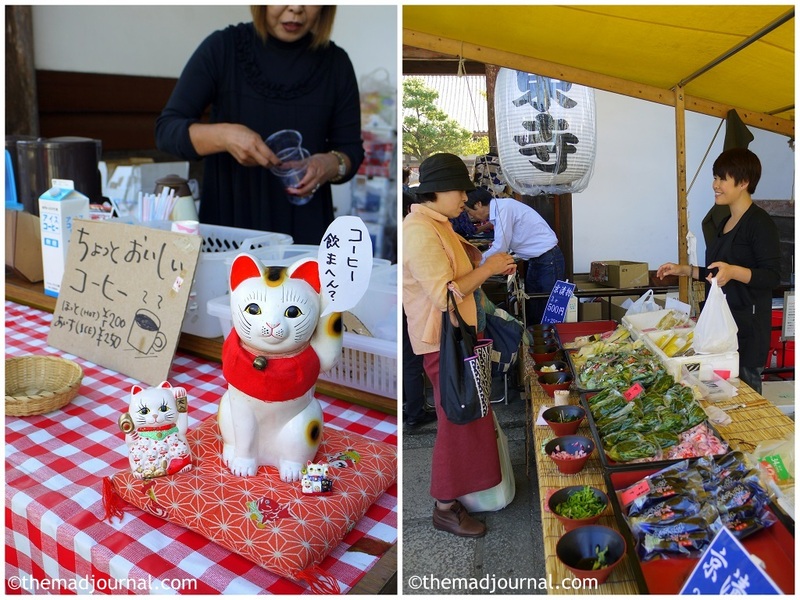 There is also another antique market held on the 1st of each month. I have never been that one, but I would love to when I go back to Japan this year. I hope it's open for the New Year's Day! The Mad Vintage is coming to HACKNEY FLEA MARKET!